I thought I'd post up a quick NOTD for Valentines, I've used OPI's Pink Friday from the Nicki Minaj collection which is a creamy pale pink, slightly bubblegum pink, it takes about 3 coats for full coverage and then used a singular little pink heart on my middle finger from a little set of nail art that I picked up in poundland of all places (review to come soon!) 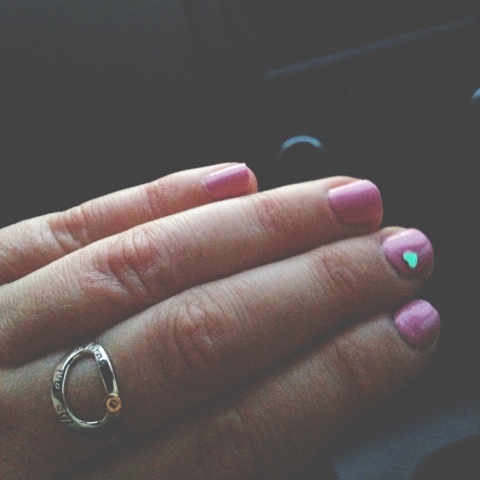 but I thought it was subtle yet appropriate for Valentines day! p.s The OPI polish was picked up in a Regis for the bargain price of £4, I definitely recommend checking out their sales! 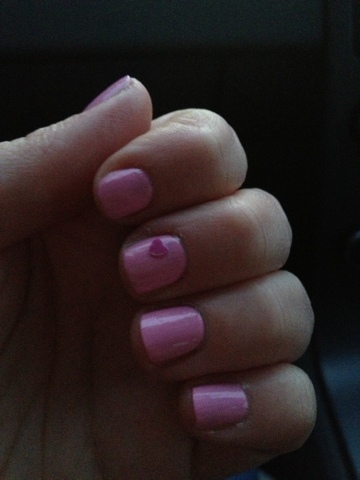 2 comments on "Valentine NOTD: OPI Pink Friday"
Adorable :-) That's the perfect pink for Valentine's Day!